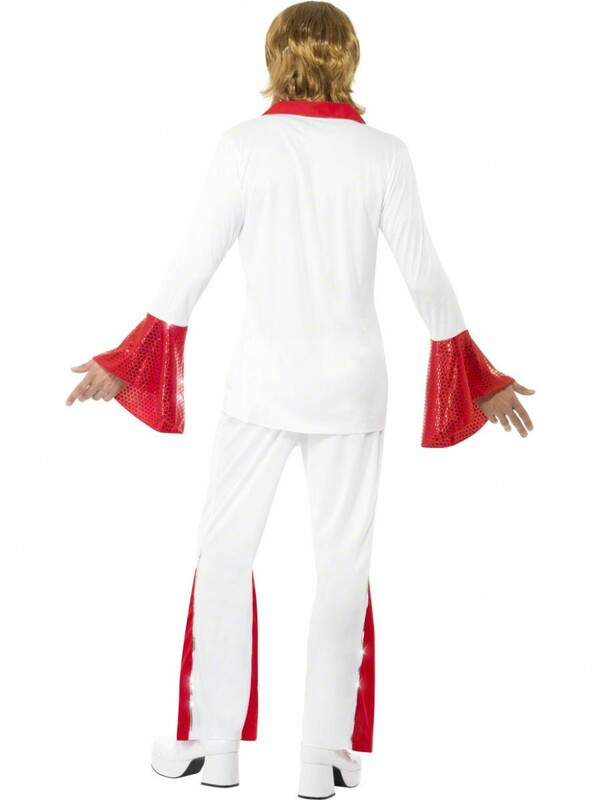 This white and red Super Trooper Costume includes Top and Flare Trousers in a fun design. 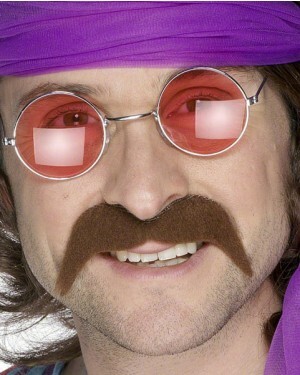 Ideal for any 1970s theme! 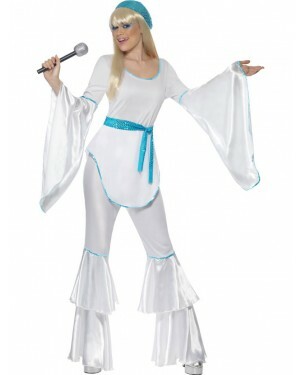 This two piece costume includes Top and Trousers. 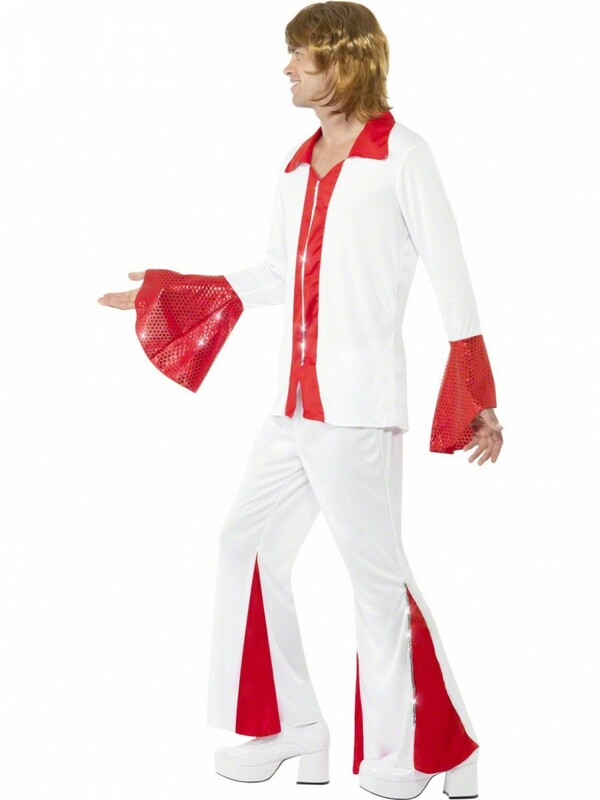 The costume is in a bright red and white material with silver and red sequin detail on the flares, cuffs and top, as pictured. Both the trousers and cuffs have a flared design for ultimate fun! 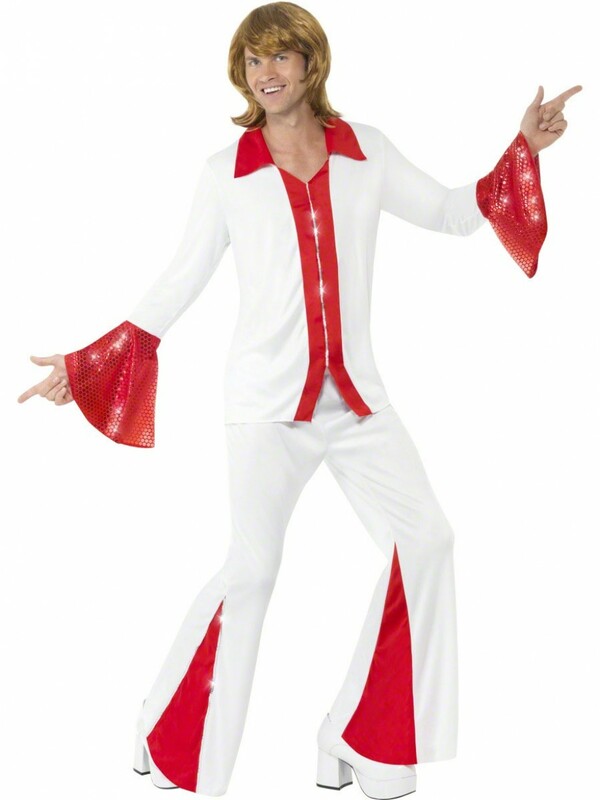 A groovy disco costume for any 1970s theme! This costume is available in medium and large.